I mean, I could end the list right here because what more truly needs to be said? They serve BEER and WINE! If you take a trip to the Chicago location, you can munch on your tacos and enjoy some hard liquor. 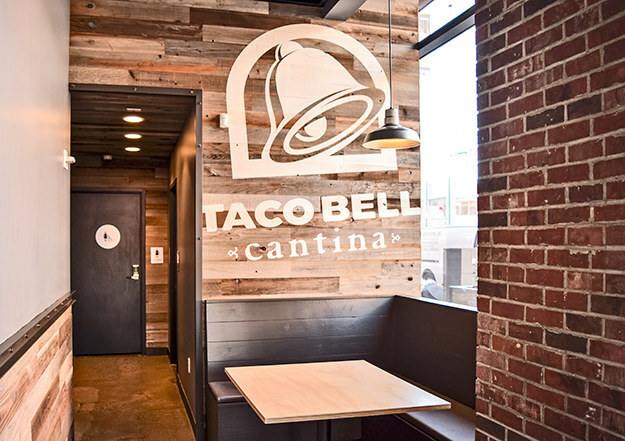 This new brand that Taco Bell is calling Taco Bell Cantina has a completely redesigned interior design and menu. Ya, this is exclusive to the new Cantina restaurants. Patrons can enjoy the tacos, nachos etc, with new additions to the menu like chicken fingers. How the food is served reminds me of bar food or something you’d get at Applebees. Taco Bell is stepping their game all the way up with the ability to order right from your phone and pick it up from a mobile order pick-up window. The future is now!